[Arbitrator's Summer Holiday]This title is an unofficial, amateur translation. 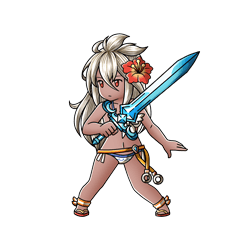 This young girl who keeps the balance in the skies descends upon the cerulean seas in a lovely swimsuit. She sets her responsibilities aside for a brief respite with dear friends. Gamma Ray Massive Dark damage to a foe. 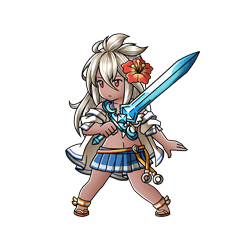 ⇧ Lvl 55This skill is enhanced at level 55. Superior element damage to a foe (Damage cap: ~690,000). 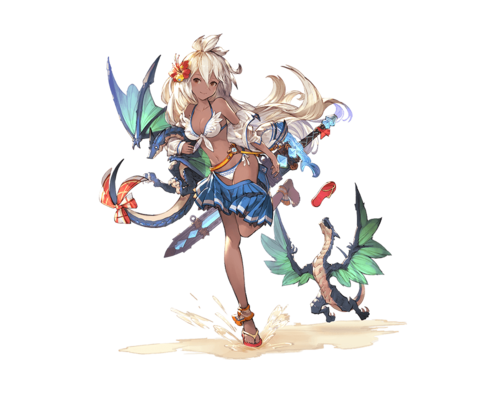 Boost to damage based on how low Zooey's HP is. ⇧ Lvl 75This skill is enhanced at level 75. Set all allies' HP to 1. Duration: 4 turns, healing up to 15% max HP from attacks. 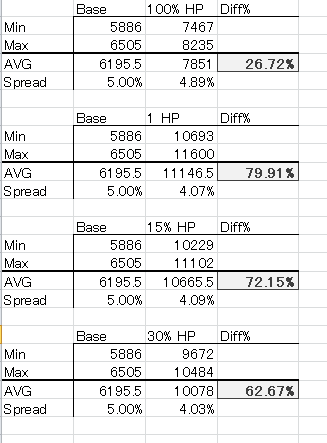 Dark damage to all foes (Damage cap: ~470,000). Strength: 10% (Max: 30%) (Max: 30%). Boost to stats based on number of different elements among allies. Requires completing Chapter 54 Story - Where There's Smoke to unlock her first Fate Episode. 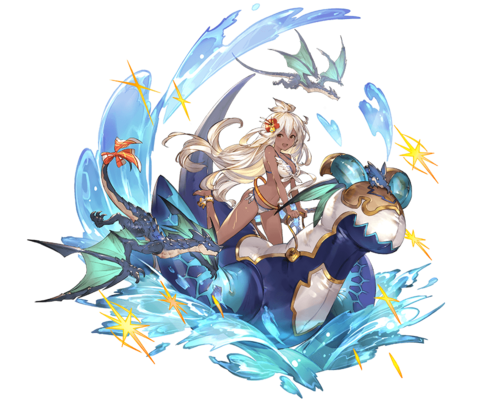 If the target has no elemental weakness, Resolution will deal Dark damage. if she takes major damage in a single turn. Each rank reduces the required damage threshold needed for the effect to trigger. Conjunction does not trigger the effect. This page was last modified on 26 February 2019, at 08:34.